Order your very own shirt today. Trailer for the new film starring Butch Willis. Directed by Mark Robinson. See Teen-Beat 564 for screenings near you. Simply click on the word "Index" above, or on the magnifying glass icon in the top right of this page. An index will pop up and offer options to search alphabetically, by Teen-Beat catalogue number, by year, or artist. FREE SHIPPING ON ORDERS SHIPPED TO THE UNITED STATES OF AMERICA. An air-mail fee will be added to orders to be shipped elsewhere. Please allow 1 to 4 weeks for your items to arrive via U.S. Postal Service's accalimed Media Mail. Items that are available for sale will have a "Purchase" button on their page which you can click to purchase that item. We will package your order and ship it to you via the U.S. Mail. Orders are usually shipped on Saturday mornings. Many of the items here are no longer available and their respective pages do not have a purchase button and usually state "This item is not currently available." There is also a list of all items currently available. If you're looking to purchase something for someone else as a gift, consider our Teen=Beat Gift Certificates. If you are not able — or perhaps not willing — to purchase Teen-Beat product over the internet, we will gladly accept your order mailed to us in an envelope to our street address. Simply print out and fill in this TEEN-BEAT MAIL ORDER FORM or write us a letter mentioning the items you'd like and send it to us along with your payment. 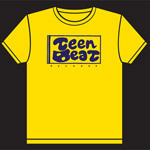 If, by chance, cannot or will not purchase anything Teen-Beat, you may listen most of our audio releases at your local music streaming service. Ten hand-picked Teen-Beat numbers are displayed horizontally above. 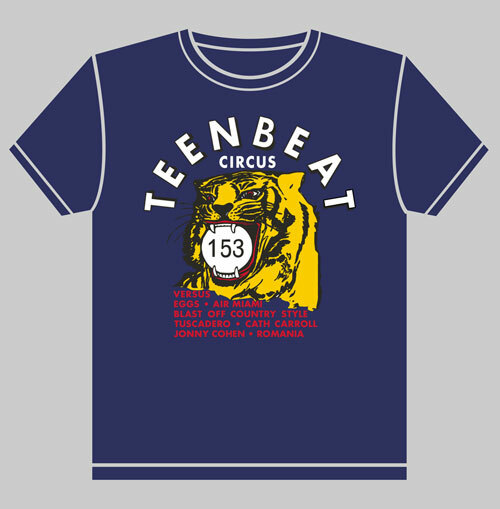 These items span the history of Teen-Beat and have been chosen to feature various aspects of Teen-Beat. They have been placed in chronological order from your left to your right. We will choose ten different items [or "numbers"] every time the site is re-made/re-modeled; usually once every few months. Obtain a pencil or pen and a pad or scrap of paper. Then write down the uniform resource locator (URL) at the top of your internet browser. Next time you would like to visit our lovely world wide web site, you can then refer to your earlier note and type in the address to visit us once again. We're looking forward to it. On your laptop or desktop computer, you can bookmark this world wide web site by clicking the "+" button at the top of your internet browser. To add a Teen-Beat website icon to your home screen, simply tap the share button at the bottom of the Safari screen. Then touch the icon labeled "Add to Home Screen." A custom Teen-Beat icon will appear on your home screen which you can then tap to bring you instantly to this here directory of all things Teen-Beat. Sign up for our sporadic, yet informative and entertaining electronic mail newsletter. It's free and we won't even think about sharing your email address with anyone.